As the holder of 2015's Top Medium-Sized Business for Service Excellence Award, 2015's 4th Most Innovative Company by BRW Award, and the 2015 International Service Excellence Award, Ivy College is not an online course provider to be overlooked. To achieve these prestigious awards, things need to be done differently from the crowd and they need to be done better. One way they do this is by the way that courses are delivered. 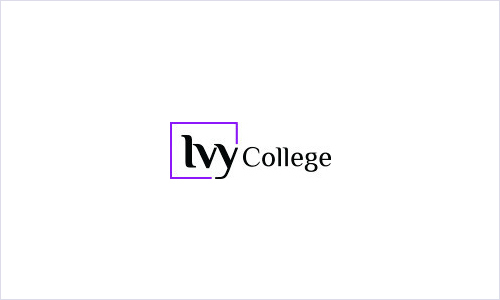 Using myIVY-Ivy College's online learning management platform - students learn through discussions, documents, videos and quizzes. This avoids the boredom of typical studying and keeps learning lively. You're also given the option to attend workshops and interactive webinars. Another way that Ivy College has taken a step ahead of the rest is by imposing no deadlines, semesters or timetables. Although the base is located in Sydney, with Ivy College's online courses you're able to study from anywhere you like at any time you wish. You can choose to study from six disciplines: Health & Wellbeing, Design & Technology, Event Management, Business Management, and Beauty Therapy. The length of these courses can be anywhere from 12-24 months. With your personal study coach helping you with anything you need via video-conferencing, phone calls, live chats, or e-mails, you'll never run short on support. All Ivy College study coaches are highly qualified professionals that want to help you succeed. Ivy College doesn't just want to help you achieve a nationally accredited qualification, they want to help you acquire the career you're after once your online education is over. If your course doesn't already include mandatory work placement, they're happy to find you some industry experience anyway. You'll also be provided with a complimentary career coaching and job readiness program to improve your job prospects and make you as employable as possible.